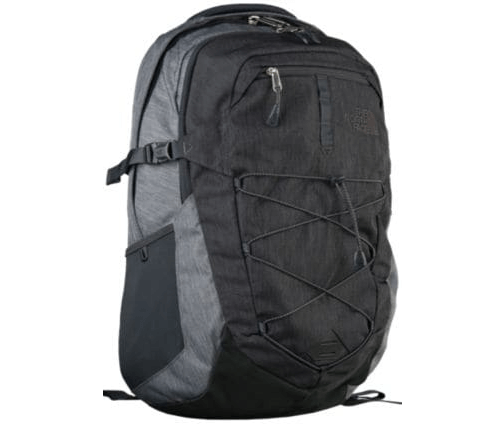 In your pursuit to find the best travel backpack for men you should keep durability, comfort and spaciousness in the forefront of your mind. 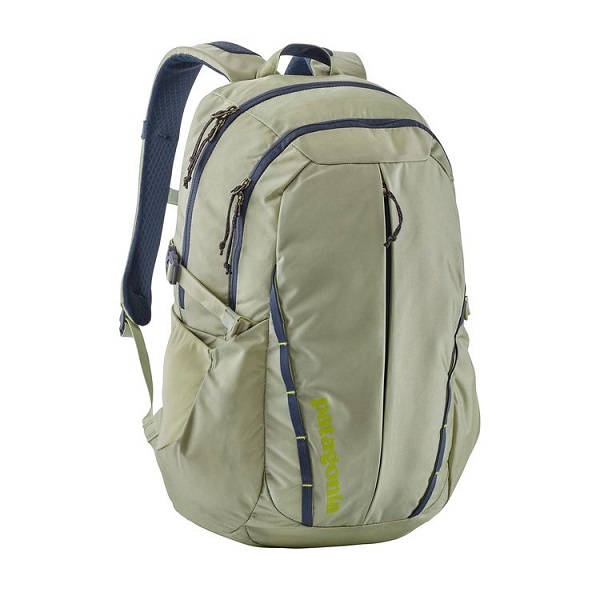 There are lightweight options available for those who plan to use their pack for day excursions. Alternatively, other companies cater to the nomads of the world, providing more spacious, yet comfortable, options. Depending on the use you have in mind, the perfect backpack for you is only a few clicks away! 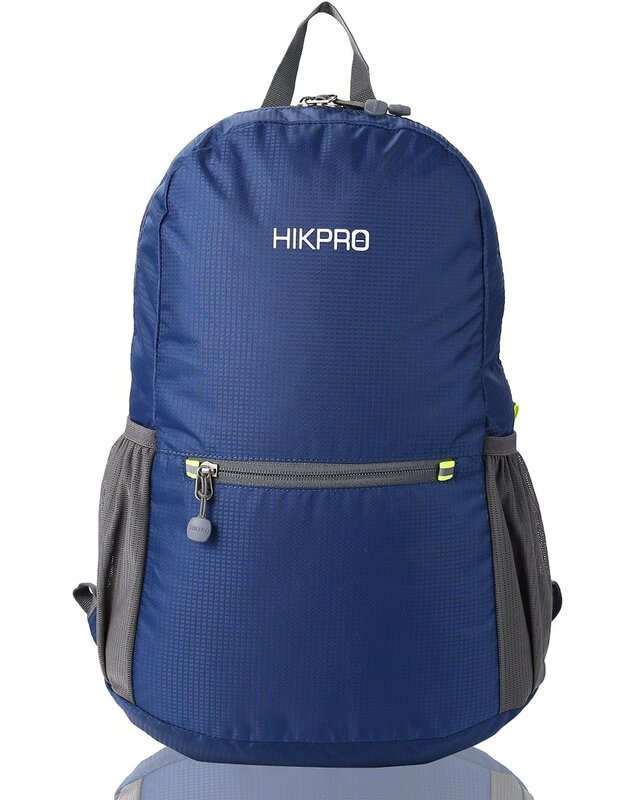 Hikpro 20L packable backpack makes it easy to avoid those extra baggage fees that hikers and travelers have become accustomed to paying. The 6.5-ounce backpack can be easily folded and stored away until you’re ready for your big adventure. Holds up to 20 liters. Easy to fold up and pack away. Works perfectly as a carry-on item. Water resistant, but not fully waterproof. Straps could be a bit more sturdy. Customer service can be difficult to get in touch with. What makes the best travel backpack for men? How about a lightweight bag that’s small enough to use as a carry-on, yet large enough to store several days worth of clothes and camping or hiking supplies in? That’s only the beginning of the benefits you’ll notice with the OutdoorMaster Hiking Backpack 50L. Holds up to 50 liters. Includes a protective waterproof cover. Hip belt is padded with foam. Padded compartment for laptop storage. Multiple pockets of varying sizes. Small enough to use as a carry-on. Large enough to use for several days of travel. Has a lifetime of around 6 months with regular use. Easily tears due to thin material. Custom FlexVent suspension system shoulder straps, a padded fleece-lined laptop sleeve and fleece-lined outer pockets all make this backpack ideal for any situation. The North Face Borealis Backpack is small enough to use as a carry-on and large enough to use for day-long hikes. Specially designed compartments make it easier than ever to carry electronics and camping supplies without needing to use multiple bags. Padded and fleece-lined laptop compartment. External fleece-lined pocket allows you to store sunglasses or electronics. Whistle buckle attached to chest strap. Perfect to use for school, day travels and as a carry-on. Plastic back plate makes it uncomfortable and difficult to pack. The TLS Mother Lode Weekender Convertible is a favorite amongst world travelers! Several travelers have been able to pack two to three weeks worth of clothing and gear into the convertible! This may very well be the absolute best travel backpack for men that is currently on the market. Fold-down shelf reduces shifting of items. Expands for extra storage room. Heavy and awkward to carry for long periods of time. 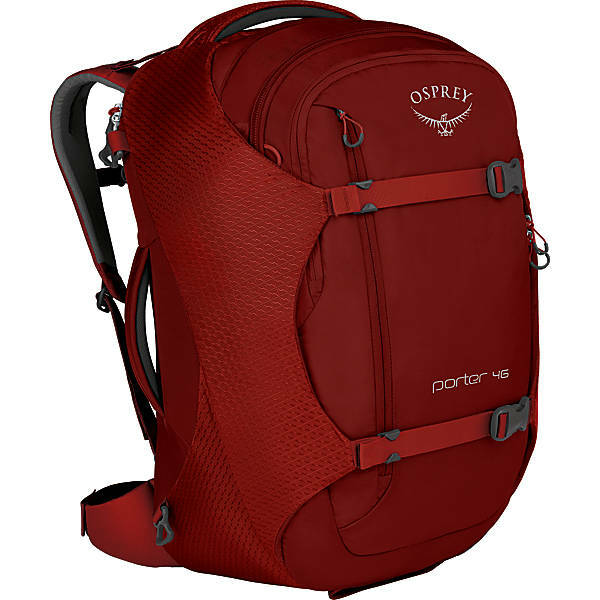 The stylish Osprey Porter 46 Travel Backpack was designed with both air travel and backpacking in mind. The stow-away straps make this backpack easy to tuck into overhead bins, while the outer shell protects your items from being damaged. Unlike many competitors, Osprey was sure to include chest and hip belts that effectively transfer weight off your shoulders. The best travel backpack for men stands up to the challenge of combining comfort, convenience and storage all in one backpack. Stow-away hip belt and shoulder harness. Comfortable enough to carry throughout the day. Easily stowed in storage bins. U-shaped zipper opens wide for easy packing and unpacking. Hip belt effectively transfers weight off the shoulders. Bulky side panels make accessing certain items difficult. 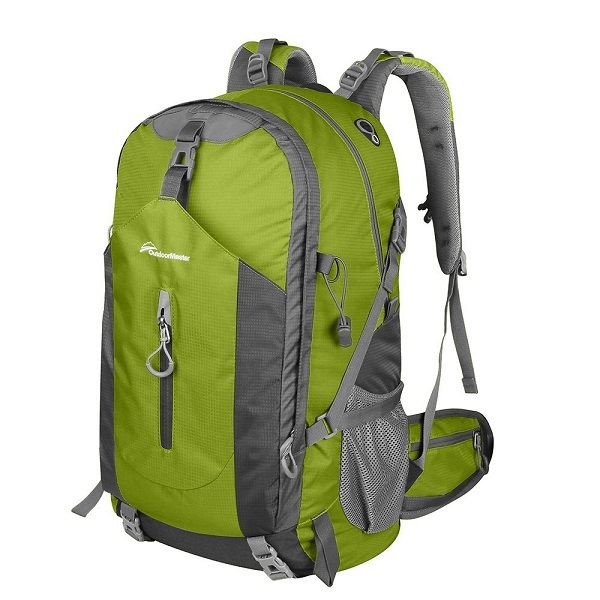 If you’re looking for a suitable backpack to use for day trips or as a carry-on, then the Patagonia Refugio Backpack 28L may very well be the perfect fit for you. The breathable, recycled material that it is made of makes it comfortable for all-day use. Patagonia went above and beyond to create the best travel backpack for men who pride themselves on living environmentally friendly lives. Multiple zippered compartments make travel items easily accessible. Made with recycled, breathable materials. Great for day trips and school. Older models are of a higher quality. The Tortuga Travel Backpack-44L was designed with the world traveler in mind. The front-loading backpack makes staying organized a breeze and the waist belt easily transfers more than half the weight off your shoulders! 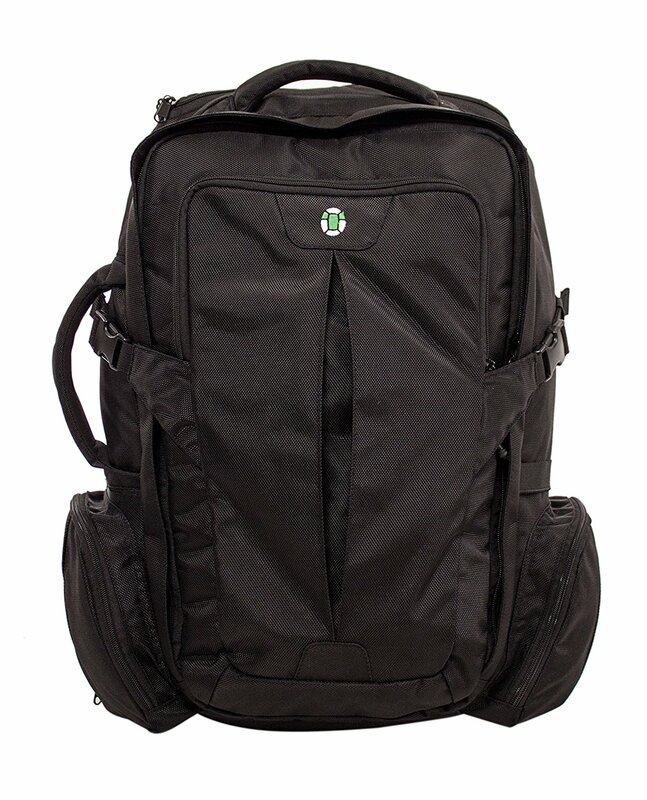 The laptop compartment in this pack is more spacious than most and features a lockable zipper. Packs like a suitcase instead of a backpack. Laptop sleeve fits up to a 17″ laptop. Hip belt transfers 80% of weight off your shoulders. Shoulder staps are not suitable for smaller frames. 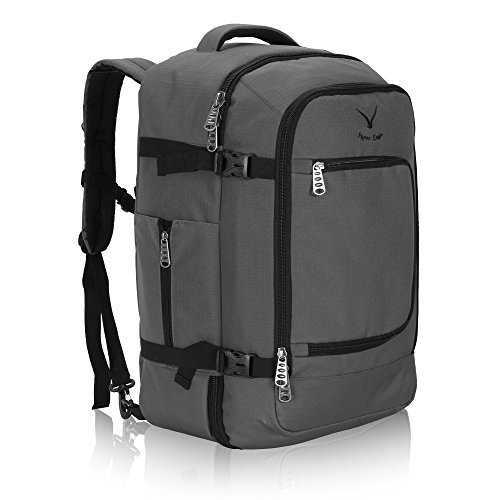 What makes this pack different, and a best travel backpack for men, is the fact that it comes in several appealing designs and includes a three-piece packing cube set. 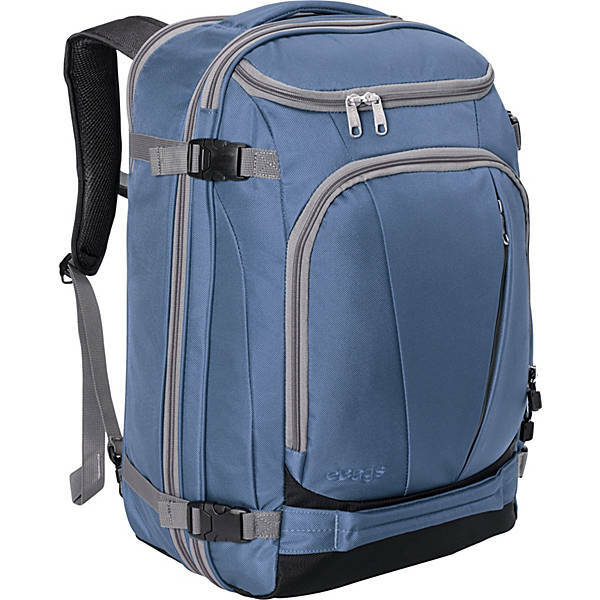 You can find a functioning traveler’s backpack anywhere, but Hynes Eagle Travel Backpack 40L upped the ante by creating a visually appealing urban backpack. Includes three-piece packing cube set. Multiple pockets, including a laptop compartment. Easily converts from a duffel bag into a backpack. Inner tie-down straps make organizing easy. Customer service can be difficult to work with. Clips are prone to breaking. When shopping online remember to keep a few things in mind. Not all backpacks are made the same. Some are more suitable for those with taller frames, while others are designed for the long haul. The old saying “you get what you pay for” certainly holds true in this area. Whether you’re using your backpack for day trips or planning for a two-week trip, there’s a suitable backpack for every need.